Tusen takk til David Ford for hans bidrag. 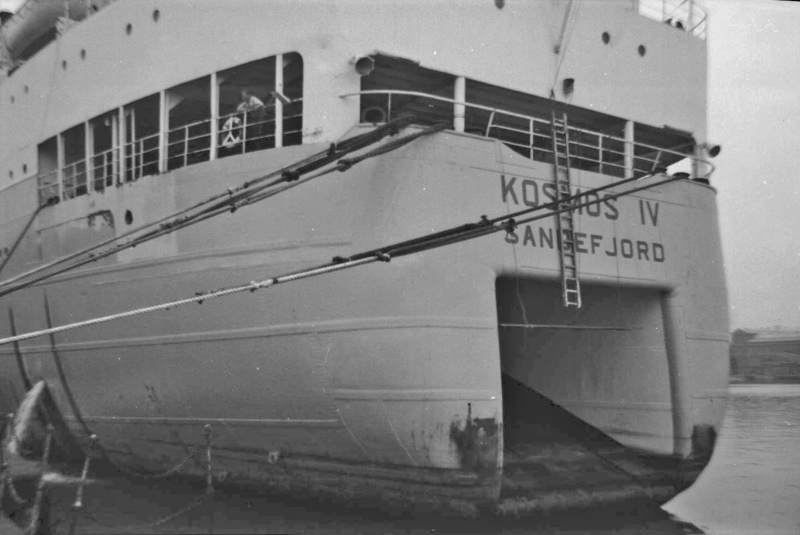 Bildene av Kosmos IV er tatt av Davids far, John Ford (fargebildet), og av David selv på en Brownie 127, på havna i Immingham i august 1963. I remember the visit to Immingham, at the time my father owned a boat and we had been sailing on the east coast and had decided to visit Grimsby. While we were there we decided to look at the Immingham docks. In those days you could still walk around harbours without being questioned!